house of spoon: Blackberry Bliss! Brewing your own is a lot of fun and surprisingly simple (when you keep it organic and shun the added chemicals, as we do!!) 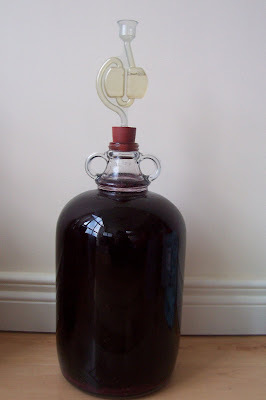 See the original tutorial for "Mighty Fine Blackberry Wine". ...now i just have to think of a way of combining brewing and sewing...then i'd be really excited! EH????? ?e questo che sarebbe? ?vino,grappa colorata??? slip into something more comfy!